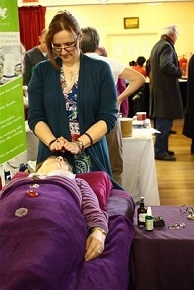 Marie, from Moonbird Holistics will be delivering a workshop introducing Crystal Healing. Working with crystals is a non invasive way to help us relax and bring ourselves back into balance. These therapies can also help us to manage stress related issues like headaches, insomnia and many others. But sometimes it’s just nice to take some time out for ourselves for complete relaxation. Crystals work on all levels. Physical, mental, emotional and spiritual. They help promote feelings of peace and calming. They can stimulate the mind and improve focus. They can help with spiritual development, meditation and psychic abilities. They can help with stress and negativity. They can enhance self-confidence and personal power. They can be used as a gentle method of physical and emotional healing. So why not treat yourself to some me time and experience the power of crystals. If you want to make an advance booking please feel free to contact me to make sure you get a slot on your preferred day.